It seems like Manchester City FC is always fighting with their cross city rivals Manchester United. Manchester City has seen its highs and lows. Sometimes in the same season. With each passing tide, the supporters know, "Typical City". It is a team that has the proverbial monkey on its back. But now with players like Samir Nasri, Vincent Kompany, Sergio Aguero, David Silva, and Gael Clichy, MCFC has set their sights on trophies. With the addition of Raheem Sterling, Kevin De Bruyne, and Fabian Delph, Manchester City has stocked up on talent to challenge not only for the EPL, but also the Champions League. The Nike Manchester City 3rd jersey is a great way to show your support of this club. The ghost green color will help you stand out in any crowd. The Nike Dry-Fit material create a comfortable jersey that can be worn to matches or when out on the town. 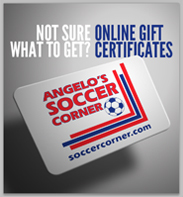 Get your favorite club's gear today at SoccerCorner.com. CUSTOM PLAYER JERSEYS: We are able to offer the full roster of Manchester City players on the Third jersey. We will use the White EPL lettering for the custom jersey. 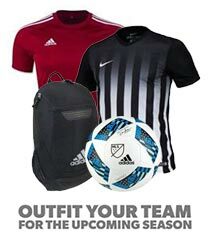 If a player is not listed or you would like Custom Name, please visit the Manchester City Custom Jersey page. Custom player jersey may add an additional 2-3 business days to process. The Custom Jerseys cannot be exchanged or returned.